Not to be confused with Craw-Daddy. A Clawdaddy is a foam-covered crab and a recurring enemy in the Yoshi franchise. Clawdaddies usually have the ability to enlarge one of their claws and attack with it. They also cannot be eaten and turned into an egg by Yoshi, like some enemies. Their name is a play on "crawdad," a name sometimes used for the crayfish. 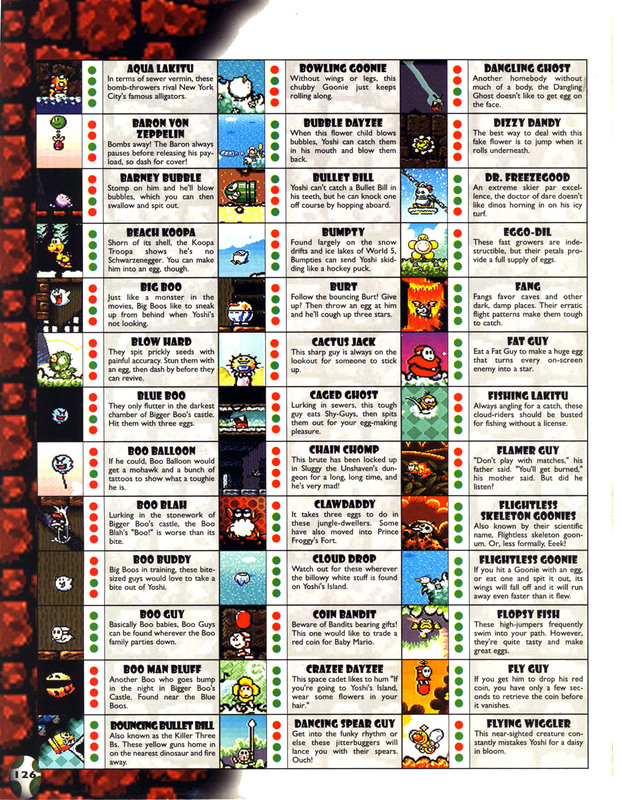 Clawdaddies first appear in Super Mario World 2: Yoshi's Island and later in Yoshi's Island: Super Mario Advance 3. They inhabit the jungles of Yoshi's Island, being first encountered in Prince Froggy's Fort. They take three Eggs or a Ground Pound to be defeated. Clawdaddies walk from one side to another on a platform. However, they rush towards Yoshi once they spot him. After getting close enough to him, they enlarge one of their claws before lunging and pinching, or spinning it around, which can damage Yoshi. 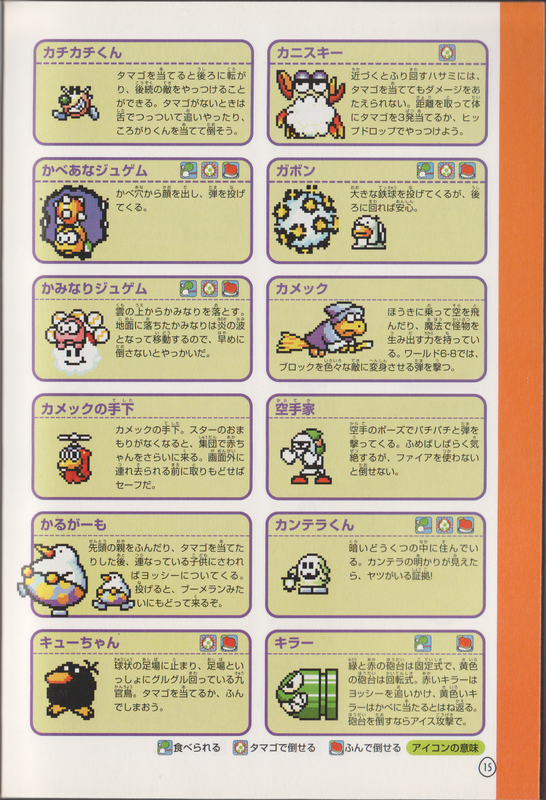 In Yoshi's Island DS, they are replaced by a very similar enemy, Crabbles. Clawdaddies reappear in Yoshi's New Island. When they see Yoshi, their eyelids and claws turn bright red, and they angrily charge at him. Once they reach him or the end of whatever surface they are on, they will attack by rotating their claw briefly. In this game, the foam on a Clawdaddy's body can be removed by licking it or hitting it with an egg, revealing a squarish body underneath. In this state, they attack exactly the same, though they now slam their claw against the ground to attack, and makes them defeatable in one hit. Ground Pounding still defeats them in one hit regardless of form. A giant Clawdaddy, King Clawdaddy, appears as the boss of World 3. Clawdaddy teams up with Froggy during the events of Tetris Attack. Clawdaddies reappear in Yoshi's Woolly World and Poochy & Yoshi's Woolly World, where they mainly populate Clawdaddy Beach. They are now stylized to resemble plaid purses with sewing clippers for claws. When they spot the Yoshi, they take a bigger pair of clippers from their interior to replace one of their claws, then rush towards him in an attempt to attack. There are numerous different ways to defeat a Clawdaddy, such as jumping on it three times, jumping on it once after stunning it with a Yarn Ball, performing a single ground pound on it, or spitting six watermelon seeds at it. Upon defeat, Clawdaddies give out several beads which are automatically added to the counter. French Tournepince Comes from "tourne", meaning "flailing", and "pince" which means "claw". Ssakduk'kkotge Combination of "싹둑", meaning "snip", and "꽃게", meaning "swimming crab". This page was last edited on March 28, 2019, at 22:23.